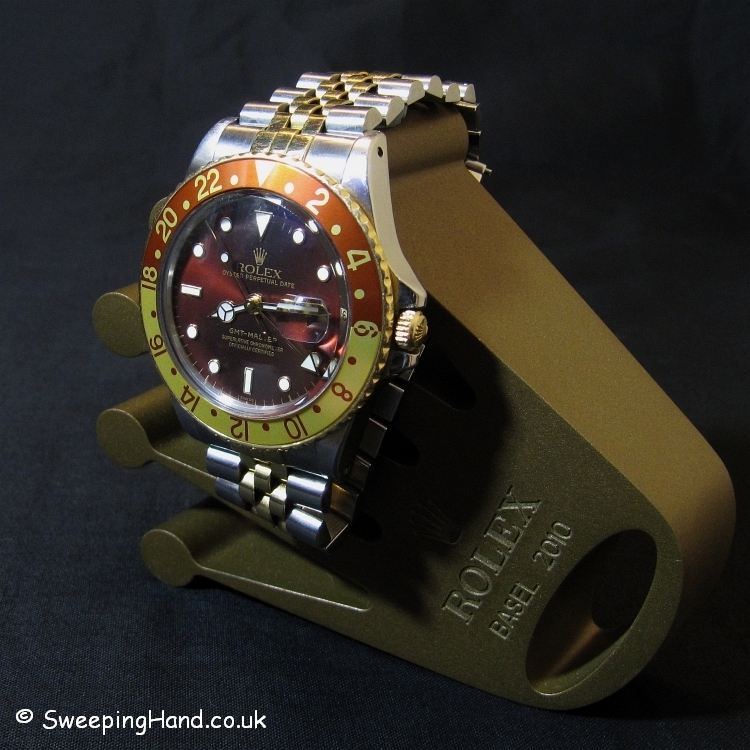 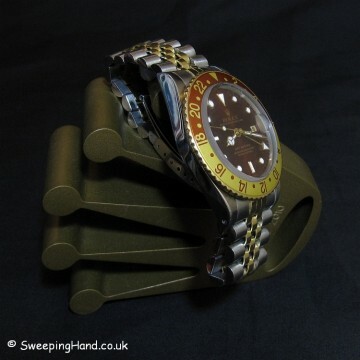 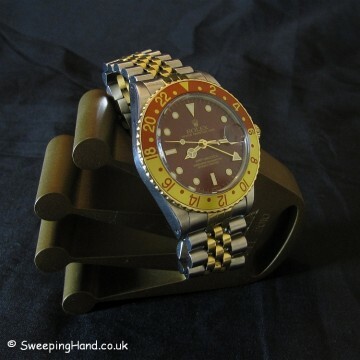 Here we have an extremely nice full package Rolex GMT Master 16753 for sale – the famous Rootbeer! 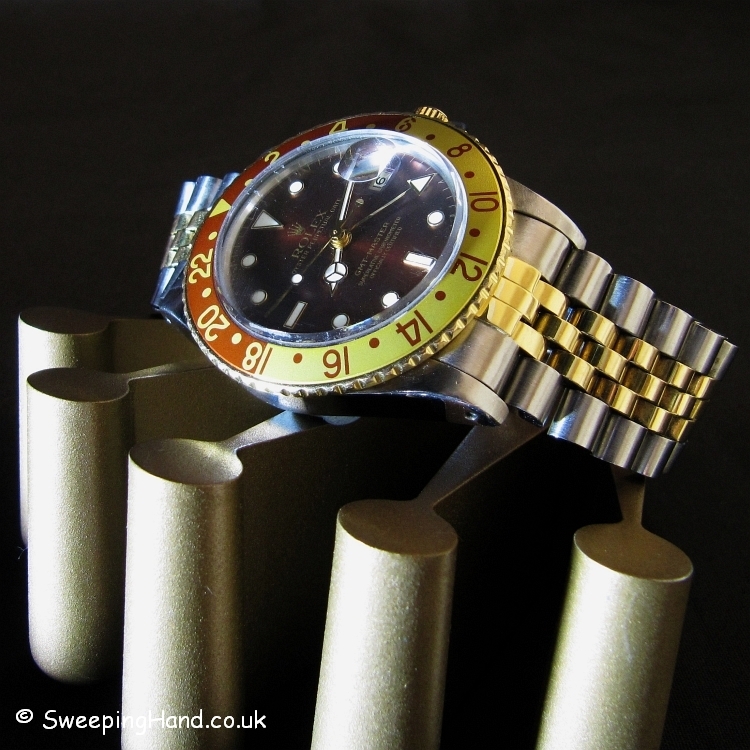 A 9.5m serial Rolex 16753 from 1986/1987 this has a wonderful luminova Rootbeer dial and matching hands. The dials on these are mesmerising – they go from black to dark brown to light brown to deep red depending on the light! 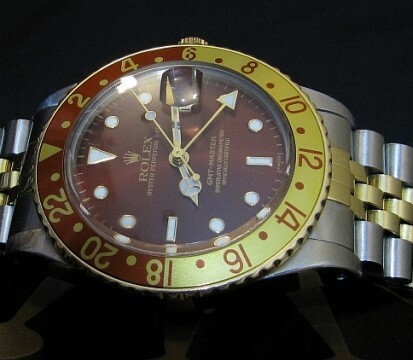 The two tone brown and gold bezel insert and two tone bi-metal 18k gold bracelet really make this a unique looking watch. 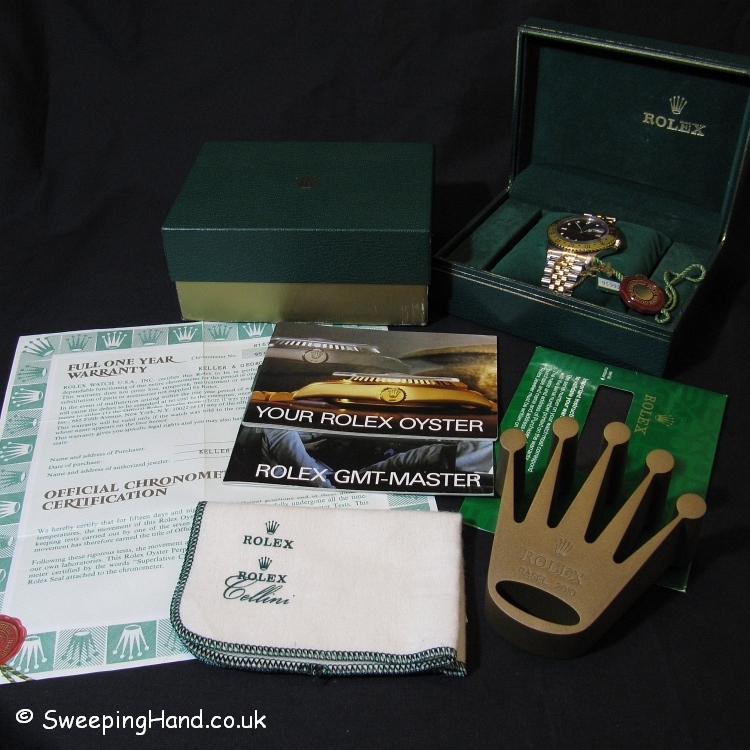 This is a full collector set with inner and outer boxes, ‘Your Rolex Oyster’ and ‘Rolex GMT Master’ booklets, stamped Rolex Guarantee, serial numbered hang tag and chronometer tag, Rolex polishing cloth…and of course the watch! 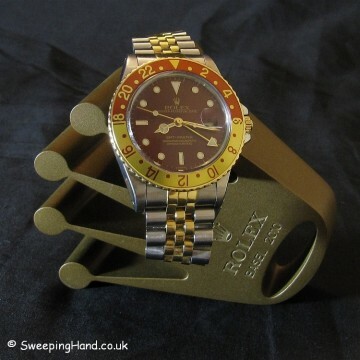 You rarely see many full sets of these about….. 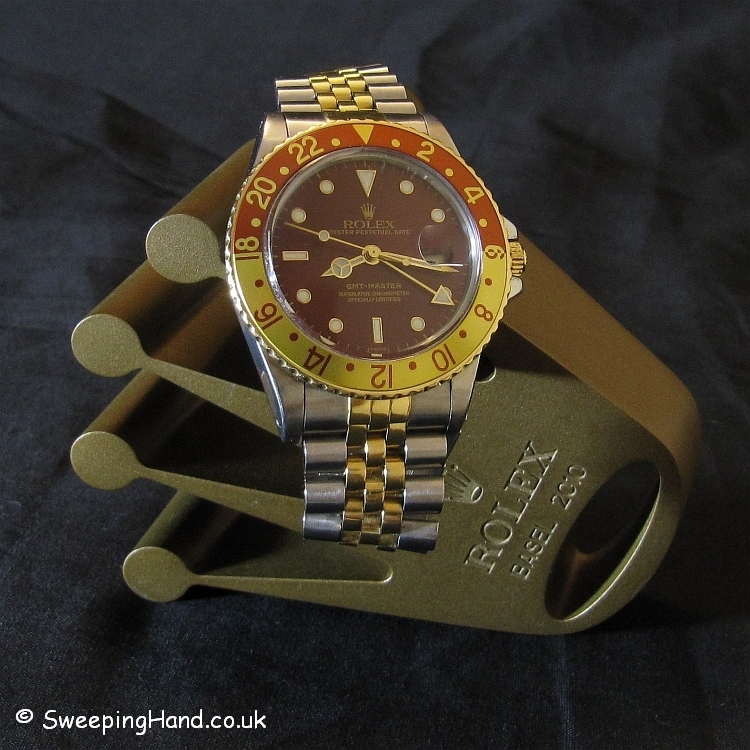 Dial & Hands: An original Rolex GMT Root beer luminova dial and matching original Rolex hands. 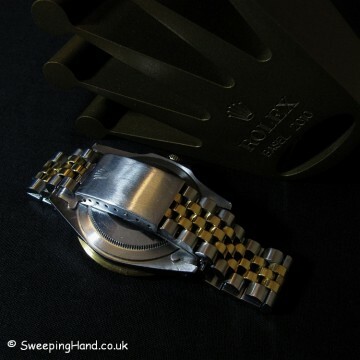 Case & Caseback: Thick Rolex 16753 case in very good condition with thick lugs and beveled edges. 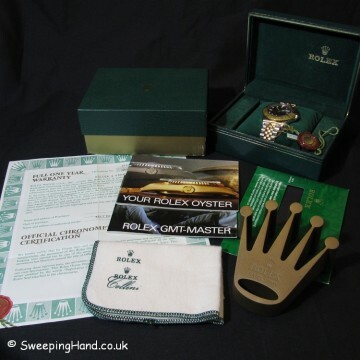 Rolex caseback correctly stamped with model number. 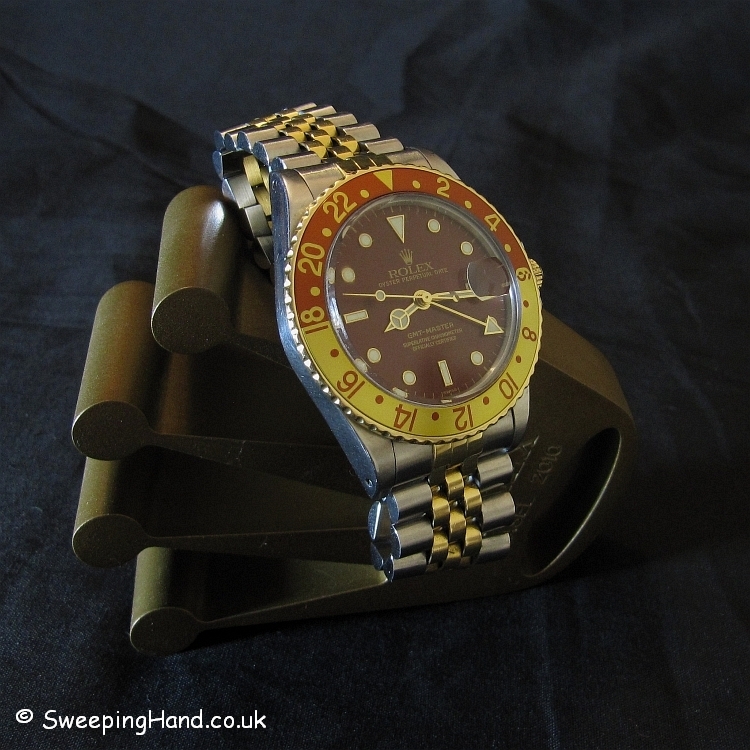 Serial numbers clearly visible between the lugs. Excellent insert. 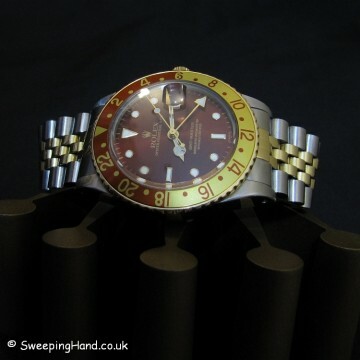 Bracelet: Comes on correct Rolex 18k gold bi-metal jubilee bracelet. Movement: Original Rolex 3075 movement.